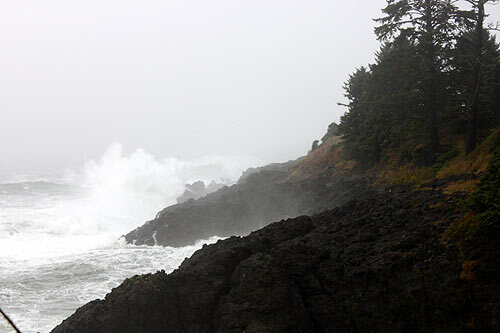 (Oregon Coast) - The upper half of the Oregon coast is under a high wind watch for Monday and Tuesday, while the entire coastline is under a high surf advisory, expecting waves as high as 25 feet. 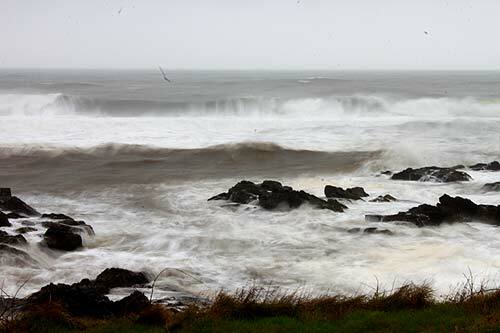 The National Weather Service (NWS) offices in Portland and Medford issued the advisories today. The 180 miles of the upper half of the coast is under the high wind watch from Monday through Tuesday morning, with gusts of 55 mph to 60 mph possible on beaches and headlands, while inside the towns themselves winds will not be nearly as strong. The NWS said winds are expected to hit their strongest late on Monday and early through the morning hours. It all comes down to a cold front moving through the region. “Winds will increase as the front approaches Monday afternoon and night and may reach high wind category mainly at the beaches and headlands along the South Washington Coast and N Oregon coast where we have issued a watch,” the NWS said. On Tuesday night, there is the possibility of a thunderstorm on the Oregon coast. The rest of the week is laden with grey skies and lots of rain. 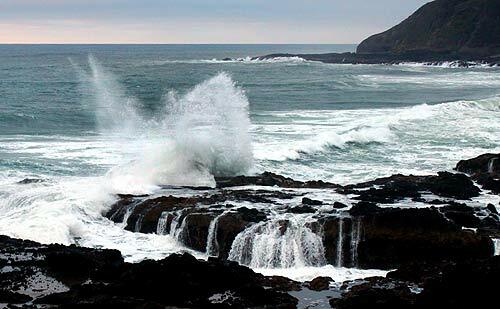 The whole of the Oregon coast is under a high surf advisory from 10 a.m. Monday to 10 a.m. Wednesday, which is likely to turn into a high surf warning from Brookings to Astoria. Sneaker wave threats begin in the morning on Monday, and hazardous surf will start impacting the all coastal areas from Monday night through to Wednesday morning. It’s a good idea to stay off all beaches at this time, but certainly smaller beaches where there are cliffs behind you and not a consistent set of dune bluffs with easy access to city streets. 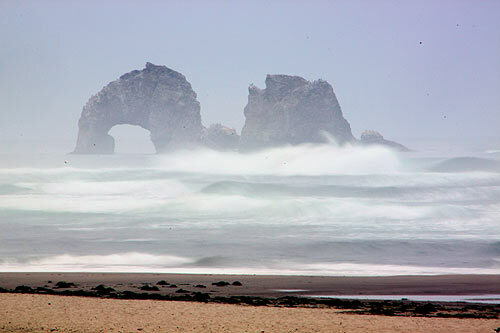 Places like Seaside, much of Cannon Beach or Newport’s Agate Beach will be safer. 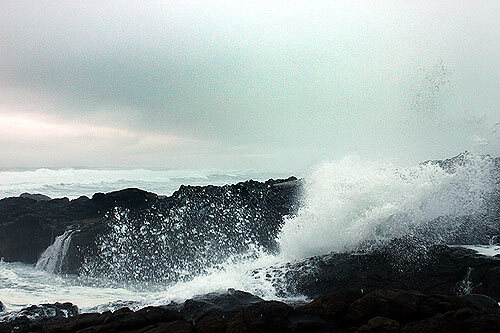 Smaller beaches or those with cliffs like those at most of Lincoln City, Gleneden Beach or Oceanside will be a bad idea.